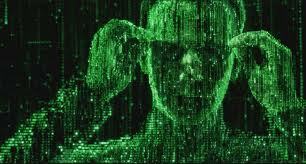 In the Matrix movies we learn that there was a previous matrix: a total virtual world provided for the humans, a utopia in which everyone was happy. But the program was a failure. Too many of the humans rejected it and “woke up” because that world was too perfect. Apparently they knew subconsciously that in real life people weren’t supposed to be that happy. What good is happiness? Is it anything more than taking Ecstasy or some other “happy pill”? Does it actually benefit you or society in any way, or is it merely feelings that are vacuous and fleeting? Modern psychological science has added a fascinating and counter-intuitive new dimension to the age-old discussion of happiness: happiness is beneficial. Rather than viewing happiness as a pleasant state of mind, research tells us that happiness is helpful and functional. It is a resource to be used rather than only to be enjoyed. …happiness is associated with a wide variety of tangible benefits, ranging from improved health, to better marriages, to increased chances of attaining personal goals. Research shows that happy people live longer, succumb to fewer illnesses, stay married longer, commit fewer crimes, produce more creative ideas, make more money, and help others more. Who wouldn’t want to be happier if it increases one’s chances of being physically fit, financially secure, helpful, and surrounded by friends? So cultivating happiness actually has significant, multiple benefits. But how do you grow your happiness? A number of the articles on this web site will help you. One of them highlights where to look: In “Part 1” of this article I talked about another key principle of Psychological Wealth discovered by researchers. If you haven’t read it already, you may want to do so now: “Two Principles of Psychological Wealth, part 1.” If you have, check out some of the recommended articles above in the right column. When people think about what they want, it often has to do with improving their circumstances. People assume they’ll be happier if they could have a situation that includes things like the ones listed above. I’m pretty sure Ed Diener ( “Dr. Happiness” ) has done more scientific research on happiness than anyone, and is considered by many the world’s foremost authority. Recently he wrote a book on the subject with his son, Robert Biswas-Diener ( “The Indiana Jones of Positive Psychology” ), who has also done some interesting research on happiness all over the world. If you want to be happier, it might make sense to listen to what they have to say. 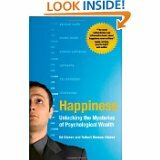 The book is called Happiness: Unlocking the Mysteries of Psychological Wealth. Part 1 (of 4 parts), “Understanding True Wealth,” includes Chapter 2: “Two Principles of Psychological Wealth.” The excerpts below are from their discussion of the first principle. Take a moment and recall the classic story of Cinderella. Remember how she was cruelly mistreated by her stepsisters and their wicked mother? Do you recall how they made her slave away at the daily household chores? Remember how the dress she labored so hard over was torn to shreds in a fit of jealousy, and her hopes of going to the royal ball lay in tatters? Of course, you probably best remember the happy ending of the fairy tale: Cinderella’s magical godmother arrives in the nick of time, whisks her away to the dance, and engineers a quick infatuation, with the result that the beloved protagonist marries the charming prince. But is that the end of the story, or just the beginning? It is interesting to consider what happened to Cinderella next, after she was betrothed and took up residence in Charming Castle. For people who believe that happiness is a matter of favorable circumstances, the story of Cinderella turns out to be a slam dunk. With a Hollywood-handsome husband, a royal title, all the riches she could want, and soldiers to guard her from the paparazzi, how could our belle of the ball not be happy? But for folks who are inclined to think of happiness as a process, the matter of Cinderella’s emotional fate is far from clear. 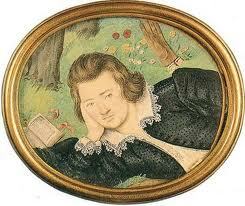 Did Cinderella’s husband treat her well, or was he a philanderer in later life? Did she find some meaningful pastime to keep her occupied on the palace grounds? Were her children spoiled brats? Did she harbor resentment about her upbringing, or try to get revenge on her stepsisters? Did she grow bored with royal balls and court intrigue, or did she organize a dance program for the poor kids in her kingdom? Happiness, as we have said, is a process, not a destination. Just as Cinderella’s life did not end with her royal wedding, your emotional bliss is not complete once you have obtained some important goal. Life goes on, and even those great circumstances you achieve will not ensure you lasting happiness. For one thing, bad things can happen even to beautiful young princesses. But even if Cinderella’s life encountered few bumps on the fairyland road, she might have grown bored with the wonderful circumstances surrounding her, and needed new aims and activities to add zest to her life. In the end, Cinderella’s quality of life was probably dictated less by her favorable circumstances and more by how she construed them. Hardships are an inevitable part of life, and having psychological wealth does not mean there are never any risks or losses. Of course there are. Happiness is not the complete absence of tough times, because that would be unrealistic. But, as we shall see later in this chapter and later in this book, negative emotions have a place in psychological wealth, and subjective interpretation plays an important role in happiness. Cinderella seemed to end up with a lot of the things we want (and don’t we spend a lot of time trying to get them? ): money, prestige, a good-looking romantic partner, security. She was “successful”; she had “arrived.” But research on happiness is showing that good circumstances (even those of storybook quality) don’t necessarily have a lot to do with how happy people are. Of course, goals are important, but happiness is more about the process than it is about where you end up. The next section in the book, a kind of thought experiment, illustrates this nicely. We sometimes ask our students whether they would accept the following pact with a genie. After floating out of his lamp, he offers to give you everything you desire, and as soon as the wish comes into your head, without the typical three-wish limit. The smirking genie says that anything you want will instantly come to you. You can’t wish for happiness, and you can’t wish that you will need to work for things to obtain them: no trickery of this type is allowed. Just solid old-school wishing for gold, castles, travel, beauty, friends, sports talent, intelligence, musical talent, good-looking dates, fast cars, and the like is permitted. Of course, most students wave their hands wildly, signaling that of course they would accept this great offer. Undoubtedly they are thinking of school loans, good grades, summers in Paris, and body fat. But – typically – as the class discussion proceeds, doubts begin to creep in. Maybe this all-wishes-granted deal, having everything and working for nothing, would become boring. Maybe you would adapt to all your blessings and they would no longer produce happiness. The discussion proceeds a bit further, and a few students begin to think the infinite-wishes deal might be hell on earth. Things would become boring, they reason, and life would lose its zest. Students’ qualms about receiving everything without effort express our intuitive understanding that working for things we desire can be part of the pleasure of obtaining them. Just as climbing the mountain may be the major part of the fun, and simply being boosted to the top by a genie would be much less rewarding, much in life might be more meaningful and rewarding because of the efforts needed to obtain it. Not only will the eventual reward be more exciting, but the activities needed to gain the reward can themselves be very rewarding. The former justice of the United States Supreme Court Benjamin Cardozo expressed this well: “In the end the great truth will have been learned: that the quest is greater than what is sought, the effort finer than the prize (or, rather, that the effort is the prize), the victory cheap and hollow were it not for the rigor of the game.” The renowned justice went beyond saying that the goal-seeking activities enhance the final reward; he claimed that these activities are in fact the prize itself! This is also the essence of the first principle of Psychological Wealth. “Dr. 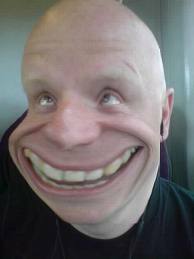 Happiness” is regarded as the world’s leading psychological researcher of human happiness. He’s also been called the “Jedi Master of Happiness.” His real name is Ed Diener, and he’s a professor at the University of Illinois. I said a little more about him when I talked about his Life Satisfaction Scale. Their book came out just a few days ago, but it’s already gotten quite a bit of attention, including reviews. There’s even one on Oprah.com. In the phone interview I mentioned in my last post (where I mostly talked about professor Sonja Lyubomirsky’s book on happiness), Ed Diener talked about some of the same things that are in his book. 1. I’d be happier if I made more money, found the perfect mate, lost 10 pounds, or moved to a new house. 2. Happiness is genetic. You can’t change how happy you are any more than you can change how tall you are. Well, it’s clear that environmental factors can have an affect on how tall you are. (Have our genes suddenly become almost 10% different from our – shorter – grandparents’ generation?) And there is a genetic component to happiness. Also, money can make some difference, especially at levels of poverty where basic needs aren’t met. But for the rest of us money doesn’t have nearly the impact that people seem to assume. And reaching the other goals where you get something turns out not to make us anywhere as happy as we expect. Basically, all 3 are false. So what does make a real difference? First and foremost seems to be relationships. Close, supportive social relationships. We need people who we care about. Second is attitudinal: being grateful, attending to good things/experiences and savoring them (vs. ruminating on the negative). Positive attitudes toward life in general. Happiness is a process, not a destination. 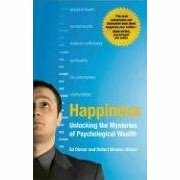 Here’s the book: Happiness: Unlocking the Mysteries of Psychological Wealth. I’ll be talking more about its contents in the future. "In the zone": enjoyment, creativity, and the nine elements of "flow"
Purpose This web site is designed to help you find more happiness, life satisfaction, and meaning. twitter Get news and updates about happiness and meaning delivered to you (even to your cell phone!) by following me on twitter.